Atlassian today announced that it has acquired StatusPage, a Y Combinator-incubated service that allows online businesses to keep their users updated about the status of their online services. The financial details of the transaction were not disclosed. This marks Atlassian’s first acquisition since going public last December. 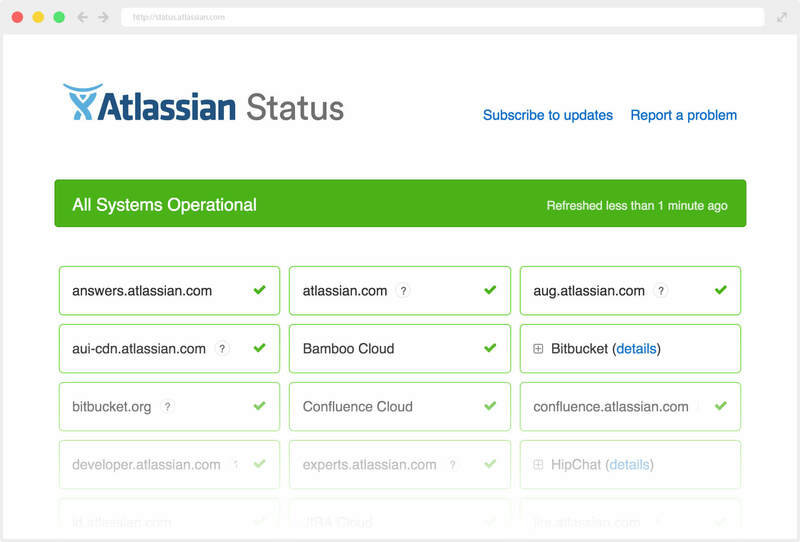 Adding a service like StatusPage, which launched three years ago, seems like a natural fit for Atlassian. The company has long argued that every company is now a software company, after all, and that means virtually every company now also needs a service to keep users informed when things don’t work as expected. Simons also noted that he sees natural integrations between Atlassian’s JIRA project management service and StatusPage, for example. StatusPage will indeed remain a standalone product after the acquisition, and Simons tells me that Atlassian currently has no plans to change the pricing for the service (which starts at $29/month). For the time being, current StatusPage users won’t notice any changes, either.